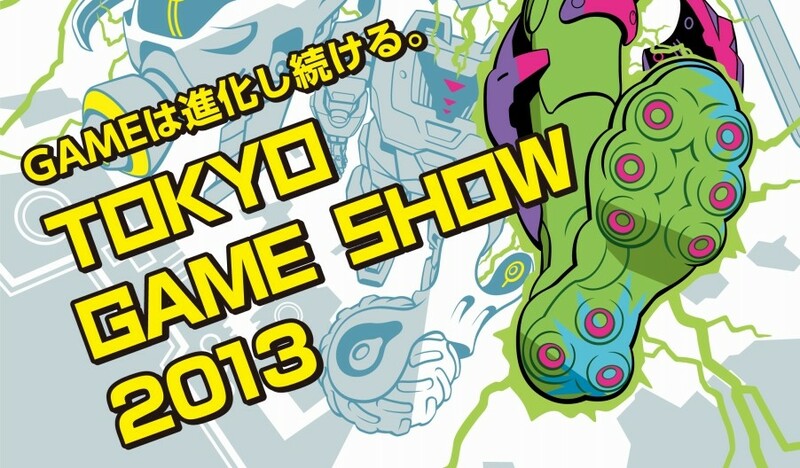 The Tokyo Game Show took place this week (Sept. 19-22) and was an event full of live demos, trailers, news, and more. Japanese game development has taken a back seat to more popular western developers in recent years, but if this year’s TGS is any indication of where Japan’s videogames industry is headed, we’re looking at a long and exciting next-generation in gaming. Sony kicked off the show with its keynote that streamed live on Wednesday at 6:30 PM PST/9:30 PM EST on IGN.com. In the 50-minute long presentation Sony discussed their policies on indies, social gaming, and the core gamer, as well as showing live stage demos of the PlayStation App and the PS4/PS Vita TV remote play—both of which looked to be streamlined and efficient additions to the PlayStation arsenal. If you like mental anguish, frustration, and death—then you’re going to love the changes From Software made to Dark Souls II. By gradually depleting the player’s max health after every death and allowing other players to invade regardless of whether they are human or hollow, Dark Souls II looks to be the most difficult entry in the series yet. “There’s no easy way out this time,” a Namco Bandai rep told Polygon, referring to the “easier” hollow form in Dark souls. Director Yui Tanimura says “he wants the depleting health bar to be an obstacle that the players overcome.” It’s obvious that the developers are listening to consumer feedback and want to push the Dark Souls franchise to a new level of difficulty. For those who like the Demon’s/Dark Souls’ unique combat and multiplayer, but never had the skills or patience to finish either title, these changes can seem a bit daunting—but all is not lost. In Dark Souls II, players will now have the ability to create bloodstain messages any time without having to use an item, and players will also be able to summon allies that will fight alongside you when an enemy player invades. The Dark Souls beta will begin in October, which should give players enough time to prepare for the game’s official release on March 11, 2014. Capcom’s Dead Rising 3 was revealed at E3 this past June to a bewildered audience that was impressed with the games zombie count and seemingly open world, but disappointed in the lack of the series’ trademark humor and unique brand of crazy. Well, since then, DR3 has put the pedal to the metal on a flame-throwing steamroller motorbike of insanity and is not letting off the gas. Capcom has stated in a recent blog that DR3 will feature a more open and untethered coop experience where you and your partner will be able to split up and explore the world in its entirety. Traversing the world with unique vehicle types is centric to DR3 and Capcom wanted to extend the coop experience to vehicles as well, so that you and your partner can ride together and decimate the zombie hordes. Plus, you can run around dressed up as a swordfish-weilding shark and a bull that shoots fire out of its nose, and who doesn’t want to do that?! If Capcom keeps on this path of escalating absurdity, future Xbox One owners will be in for a treat when Dead Rising 3 hits shelves day and date with the next-gen console. It has been nine months since the surreal trailer of The Phantom Pain premiered at the VGAs on Spike TV; nine months of an unpredictable marketing campaign comprised of a mysterious, bandage-wrapped impostor, (not-so)secret codes, and the back-and-forth debate over who would voice the infamous Big Boss. Creator Hideo Kojima came out on stage at TGS to show off the first live gameplay demo of Metal Gear Solid V.
The game looks gorgeous; the lighting effects really shine as guard-controlled spotlights survey the rain-slicked terrain. The contrast between light and shadow is striking and adds a sense of depth and realism to the world. More than just for aesthetic appeal; lighting is a key component in MGS V’s stealth gameplay. Spotlights, car headlights, tower lights, and soldiers with flashlights litter the enemy base making infiltration a more difficult task for Big Boss. But not one that he can’t handle; Big Boss can now jump—well, sort of. In the demo, when Boss reached a ledge, a button prompt came onscreen indicating that the player should press triangle to jump off of the ledge. It seems like an unnecessary addition that is obtrusive to the stealth gameplay the Metal Gear Solid series is known for. Boss now has a limited x-ray vision ability where he can see a blue silhouette of enemies through objects in the environment. This gives him an edge when sneaking up behind unsuspecting enemies to execute melee takedowns. Driving seems a bit clunky as the player had slight issues keeping the vehicle on a straight line, and the aiming mechanics look a bit touchy to where it might be a bit difficult to hone in on your target. After rescuing a hostage, Boss used his holographic map to call in a helicopter for extraction, and made a mad dash for the exit. On his way out, there was a moment when Boss was able to slow down time and get a couple of shots off on a pursuing enemy. Slow motion has never been used in a Metal Gear Solid game before, and it will be interesting to see where Kojima takes it. Once Boss reached the chopper, he equipped an automatic rifle and fired down at the enemy base as they flew off to close the demo. The graphics are impressive, the character models and animations are top-notch, and the combat looks to offer a variety of ways in which you can progress through the world. If the team at Kojima Productions can iron out some of the gameplay quirks, they should have another strong entry in the long-running Metal Gear Solid series. [Update] Another MGS V gameplay demo was released Saturday, enjoy.